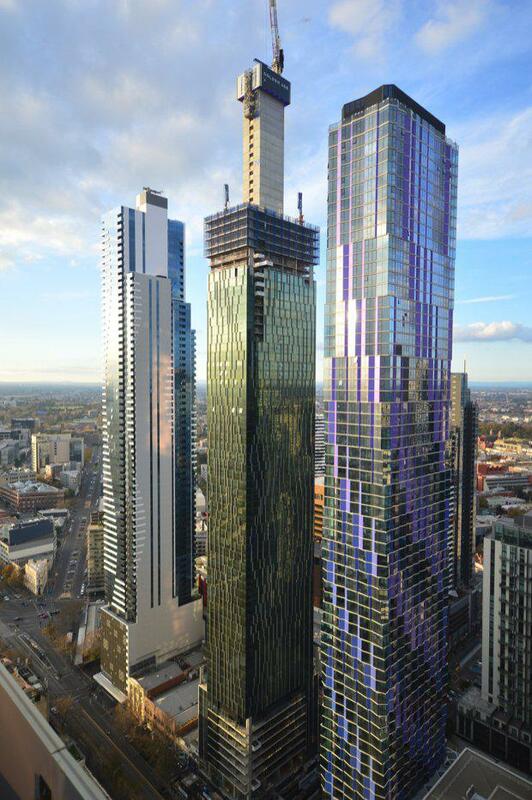 The core structure of Melbourne’s under construction sky-scraper Victoria One has topped out at a height of 271 metres, officially making it the tallest structure in the CBD. 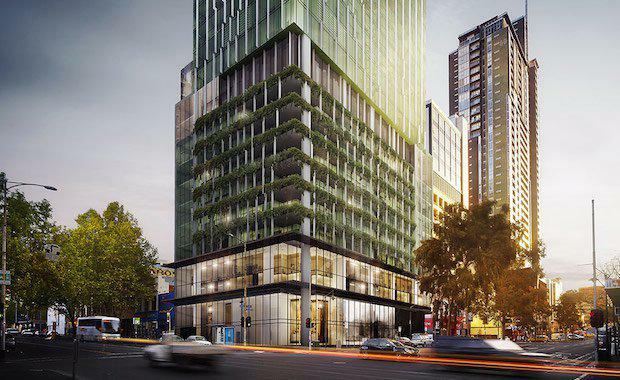 Built by Probuild for Jeff Xu’s Golden Age Group and designed by architects Elenberg Fraser, Victoria One is a slender and complex structure that will house Melbourne’s largest internal car-stacking machine. The core’s last concrete pour occurred at the tower on Saturday 17 June. It took 85 pours and 6,500 cubic metres of concrete, 17 crane climbs and 1,100 tonnes of reinforcement to complete the topping out. Victoria One consists of 78 levels and will feature 643 apartments, 163 car spaces and provisions for bicycle storage. For residents of the 629 apartments, there are three floors of communal spaces that again touch on the great outdoors and give a sense of community within. Mid level offers a pool, sauna and steam rooms and a fitness club, with views across the market, out to the Macedon Ranges and across Melbourne. There is also a garden lounge retreat and dining facilities with a kitchen and bar. The palette of materials is inspired by the environment outdoors with elemental tones and textures – earth, rock, water and vegetation. Spread across the ground floor and the first floor, Victoria One will provide four retail spaces within its total 253,097 square metres of floor area. “The façade employs a layered architectural fins that wraps across the skin of the building providing a harmonious architectural and environmentally sustainable design solution maximising natural light, shade, ventilation and pedestrian comfort,” Elenberg Fraser said. Probuild constructed this building to handle the settlement of 232 apartments, up to Level 39, while the remainder of the building is being completed, projected to finish by next June 2018.